We are specialists in Tile Renovation, Tile Restoration and all kinds of Tile Repair. If you are looking for a reliable tiling and flooring specialist at affordable rates and great results, contact us at Protiling, Melbourne and you will not be disappointed. We undertake all kinds of Tile Renovation work for Kitchen, Bathrooms, Living rooms, Office spaces and Domestic spaces. Let us know about your dream design and we will turn it into a reality! Re-tiling or Tile Replacements can be much more expensive as compared to Tile Renovation. So, if are looking for a makeover or improved look for your bathroom or kitchen tiles, we are just a call away. Renovations will also eliminate and prevent mould and enhance durability and appearance. The tiles in Bathroom tend to get worn out quickly, since it is a wet area in the house. The grout lines of bathroom walls catch mould easily due to moisture and turn unhygienic. In such instance, Tile Renovation becomes an ideal choice. We, at Protiling uses premium quality cleaning products and advanced modern equipment for renovation purposes. Durability and precision are two important factors in Bathroom tile renovation. Customers can renovate the old look of their bathrooms choosing a design that suits their lifestyle and makes it look attractive. At Protiling, we also offer external Tile Renovation. This is applicable for all kinds of tiles including Granite, Ceramic, Sandstone and Mosaic among many others. 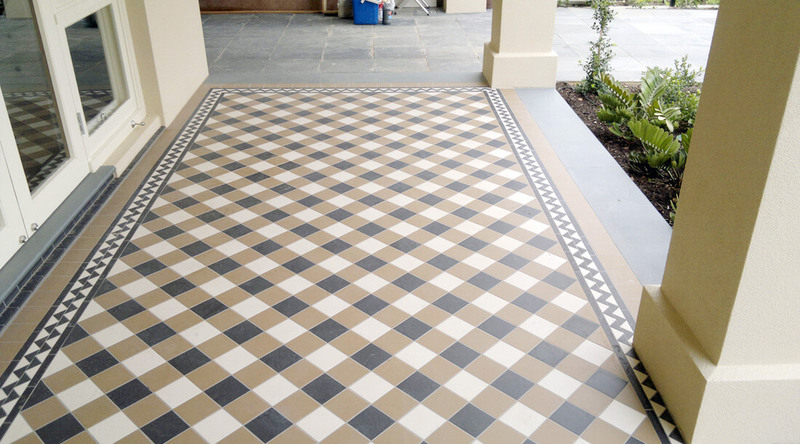 Based on the needs of the client, we take up all such kind of tiling works. It could be Tile Renovation around Swimming pool, Renovation for patios, balconies, decks or garden. Once we make a proper plan and layout, we renovate the tiles to get the desired effect. If you are looking for dramatic transformations and a full warranty for workmanship, then look no further. With superior finish and trained technicians, we stand for quality at reasonable rates. It is a wise decision to renovate the tiles and give a fresh appearance, rather than replacing the tiles which is way too expensive. We renovate kitchen tiles of cabinets, splashbacks, and countertops etc. which tend to get stained and damaged easily. Tiles may get dirty due to cooking and repeated neglect or due to moisture. We correct such flaws by renovating them and make them look great all over again. Renovations can be done depending on the customer’s choice of colour, design and finish. With years of experience to back our expertise, we take pride in providing 100% satisfaction to our clients. Kitchen is the heart of a home, so it is essential to increase its aesthetic value and make it appear more liveable and enjoyable. Do not replace your tiles for small damages, chipped edges or lack of shine. Call us and we will renovate your tiles in hassle-free manner and make it look like new. Call us today on 0450 516 537for more information!